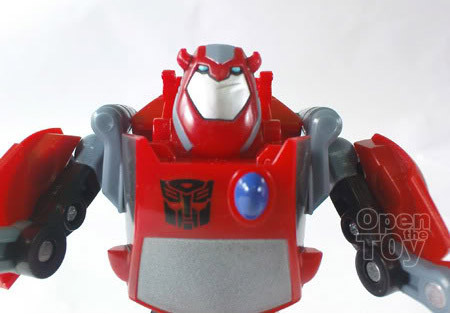 I know there are a sizable Bumblebee Fans, but are they any Cliffjumper fans? I like Cliffjumper during Generation one period. 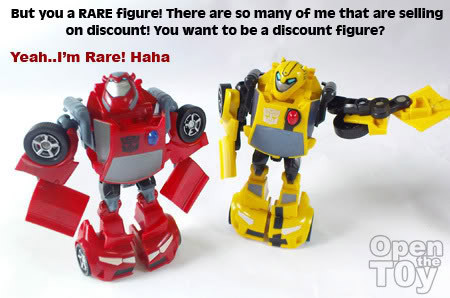 Back then, Bumblebee and CliffJumper looked different from each other. 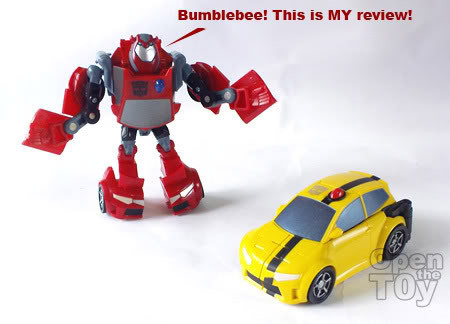 However the toy maker just do a lazy job by repainting Bumblebee and named it as Cliffjumper. CliffJumper had yet to appear in the animated Series or the movie. 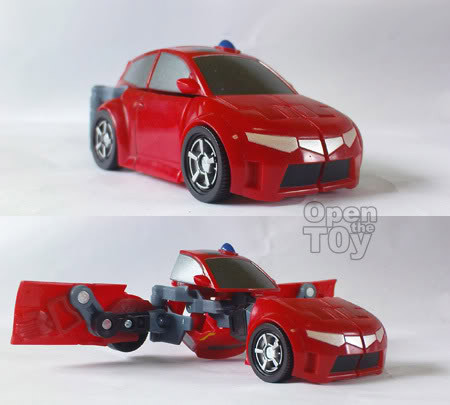 The transformation is just the same as Bumblebee by pressing the siren on the hood. Thankfully some justice was done to CliffJumper in animated series toy. They design a unique head for him. That made the robot mode look so different. Maybe CliffJumper would like to introduce himself. 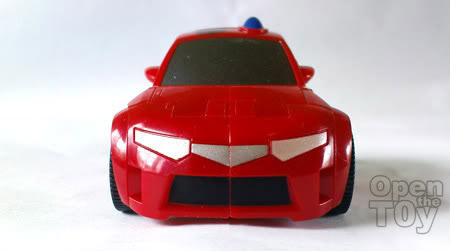 As sad as I want to admit, CliffJumper in animated series only came out in Activator mode. That was one reason I bought him. 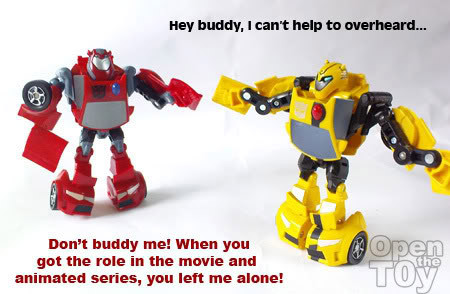 To me, Bumblebee and CliffJumper are inseparable in my childhood memory. Buddy buddy? 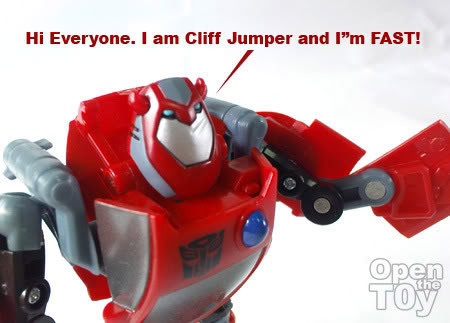 So are you a CliffJumper fan too? Cliffjumper was always my favorite as well! I will have to find that activator. Nice review, I actually like the new head sculpt on the Cliffjumper more than the BB one. 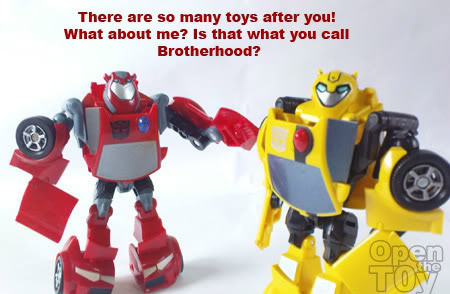 What is the relationship between Cliffjumper and Bumblebee? 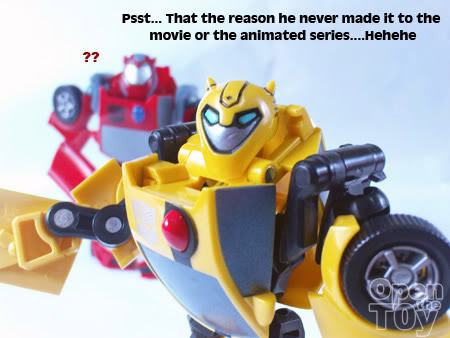 Jcee you mean the relationship of Bumblebee and Cliffjumper in Gen 1 time or the animation. 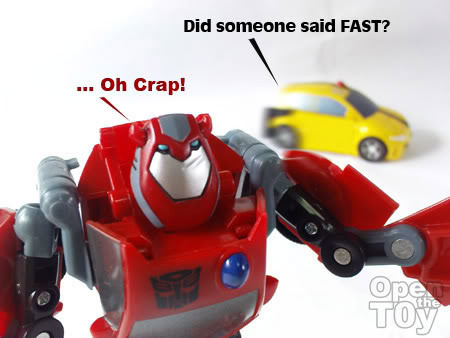 If it is the latest animated series, CliffJumper did not appear at all. Ha! Ha! They are almost the same since G1! Nice pics. Your postings are always creative and entertaining. I will certainly pick it up when I see it LEon - I think you probably get a lot of toys showing up in your stores much sooner than I do, so I may not see it for a couple months. Aha..this type of toys I like.. Yes sometime it funny in term of scaling and you wonder what Hasbro the toy maker and designer were thinking. Exactly...they do that all the time in the movie and animation. G1 was not like that in respect to the vehicle mode. I took these photograph at my room. Using white paper as background with my room light on and window widely open most of the time on weekend morning/afternoon. Most of the time I increase the amplitude of the lens. Leon - Taking pictures, you are much more better than me..I don't even have a photoshop software..Haha! !